Talking about an unveil celebrating decades long partnership of Ferrari and Pininfarina expectations rise till a limitless sky and undoubtedly they are fulfilled beyond your imagination. 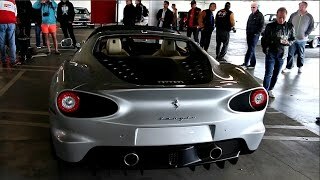 Based on Ferrari 458 Spider, Ferrari Sergio 2015 with just six production models. As shared by the official emphasis was on to design a driver oriented performance distributing model; yes they succeeded and proof is that with the very release all six of them got sold with a heavy price tag of $3 million. 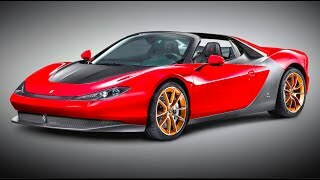 Let us have a closer look at the Ferrari Sergio 2015 and all the special features and specs that makes it so distinct. Interior of Ferrari Sergio 2015 is prepared with black leather upholstery contrasting red stitching, accompanied by Alcantara seat inserts and huge carbon-fiber traces. The passenger side of dashboard gets Sergio lettering while the personalized colors add to uniqueness of buyer’s interest. Apart from these the bolstered seats, switching between driving modes through a huge button, steering wheel and paddle shifters altogether remind you of the regular Ferrari 458 Spider. However we found the cabin very attractive and sporty. 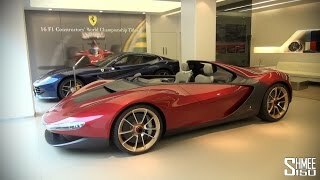 The exterior of Ferrari Sergio 2015 is a simple yet classic two tone amalgamation of front and rear fascias portraying dedicated work of engineers. Replacing the solid red sheet metal from 458, Sergio comes with a matte black running through front splitter till the rear diffuser with glorifying sign of its presence over the nose and rear existent roofline. The sporty wheels are painted in gold with a diamond finish adding to its highly precious glory. 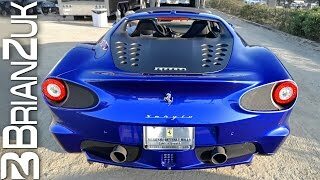 In all we found the exterior of Ferrari Sergio 2015, perfectly engineered art work from exterior. 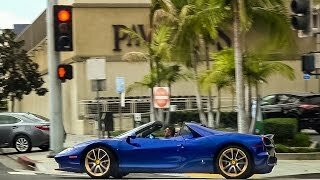 Ferrari Sergio 2015 gets its power through a 4.5 liter V8 engine, the same engine which won international engine award not once or twice but three consecutive times. With its engine producing 605 horsepower the Sergio 2015 is capable of reaching 100 km h from standstill in just 3 seconds, this means a 3 seconds and 0-62 mph.